Galaxy of Heroes continues to expand as the latest event, Flight of the Falcon, is given focus over at StarWars.com. 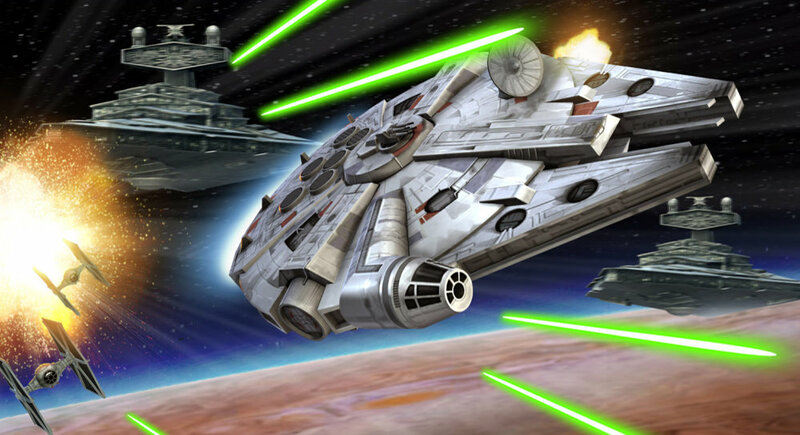 Learn how to command the fastest hunk of junk in the galaxy and why piloting it is so much fun. 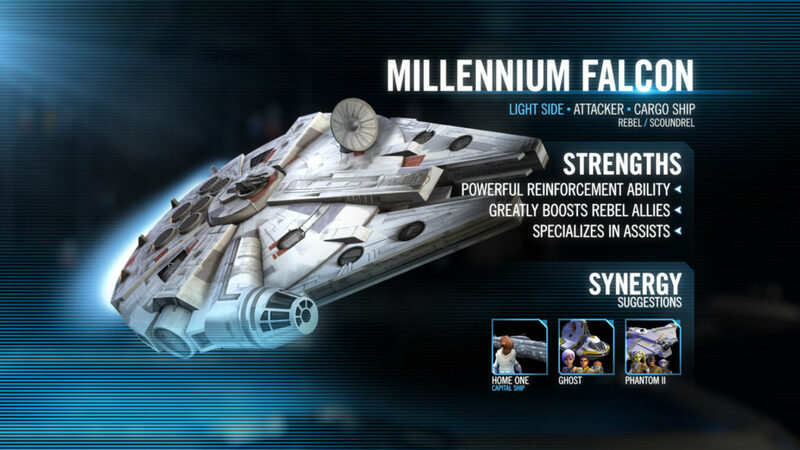 The classic version of the Millennium Falcon has finally arrived in the popular mobile game, unlockable thanks to a new Legendary event called Flight of the Falcon. Just call upon your Bounty Hunter faction (and a little help from the Empire), defeat the Falcon in battle, and it’s yours. (Sorry, Han.) StarWars.com caught up with several of the talents behind Galaxy of Heroes and discovered five things you should know about Flight of the Falcon, including why it took so long for the original trilogy version of the ship to get here, insights into bringing the bucket of bolts into the game, and some tips on winning the event.